There's been renewed knitting fervor around here lately. 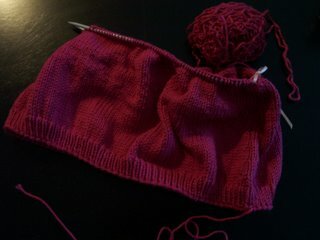 For quite awhile now, I have knit at least a few rows almost every day, but I haven't had much to show for it. The most successful thing I've knitted this year was a very simple baby sweater for a friend and the clapotis scarf. But lately, I've been knitting a lot and feeling pretty confident about it. 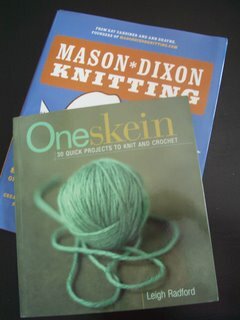 The first reason is that I received two new knitting books in the mail last week. Mason Dixon Knitting by Ann Shayne and Kay Gardiner and One Skein by Leigh Radford. Both have wonderfully inspiring, quick, and affordable projects that got me excited. The second reason is that I'm doing 12 programs a week at my libraries right now and seeing a little less than 400 people. This is really fun and keeps me on my toes, but it takes a lot of planning and energy. So it's nice to come home to something as simple and ordered as needles, yarn, and a pattern. The third reason is that Matt has been out of town at a songleading workshop this week, which somehow leaves me with more free time in the evenings. (I think because I'm not chatting with him, but it may have to do with less chores too.) I'm knitting like crazy. So even though I should be finishing some old projects - I started a new one. 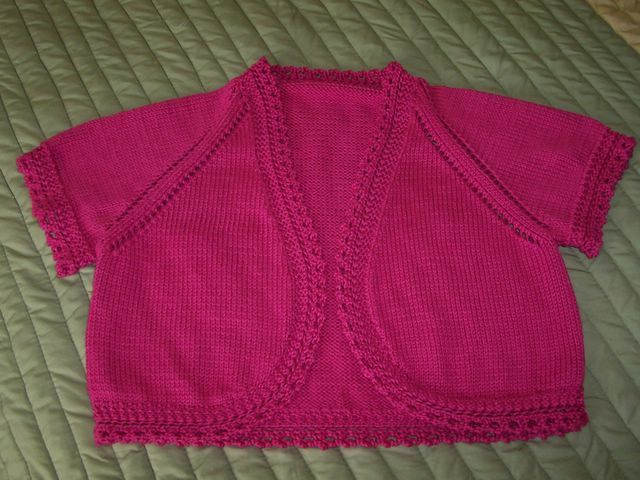 I had the yarn needed to make the Ballet Camisole from the July issue of Magknits. Actually, the yarn is recycled from a project I decided I wasn't crazy about. I was happy with my knitting, but the end result just wasn't flattering. The shaping on this tank seems right on to fit well, but we'll see. The good news is I just started on Tuesday and it's moving quickly.